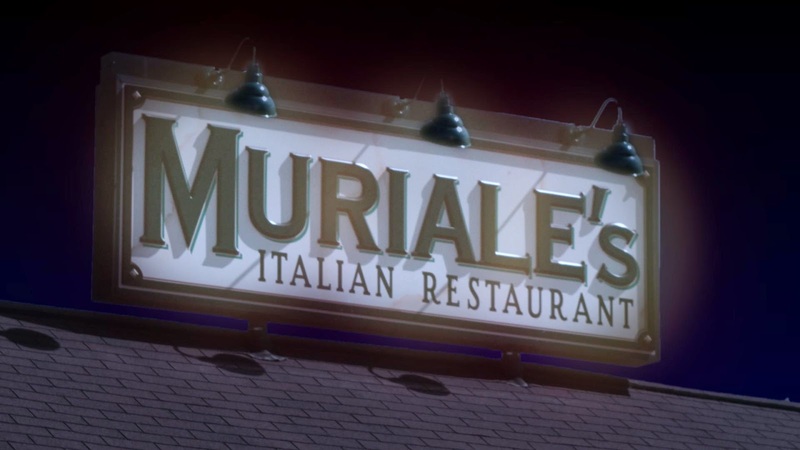 We have been going to Muriale's for as long as I can remember. Whenever we would visit my grandparents in Bridgeport, WV (my mom's parents) for a special occasion, we would normally go here. Unless you're from the area, you're really not going to know that it's even there. It is 1.6 miles off of exit 132 (South Fairmont) on I-79. If the weather is nice, you can eat out on their deck. When I lived in the dorms at West Virginia University in Morgantown, WV, I took my roommate and other friends there for their birthday celebrations. 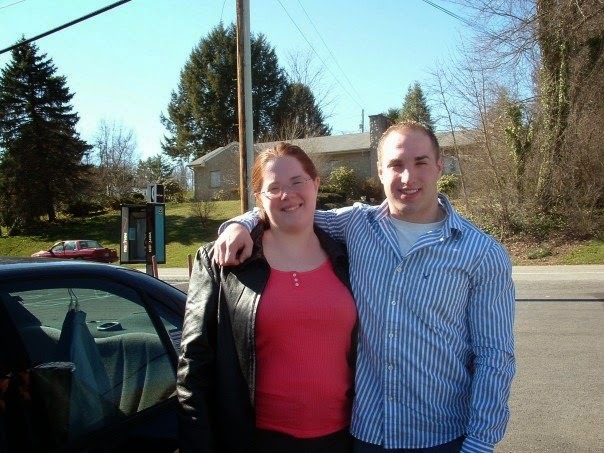 This is my brother, Charles, and I in their parking lot. Celebrating with my mom's family about my brother being on leave for a week while he was stationed in Seoul, Korea back in 2006. 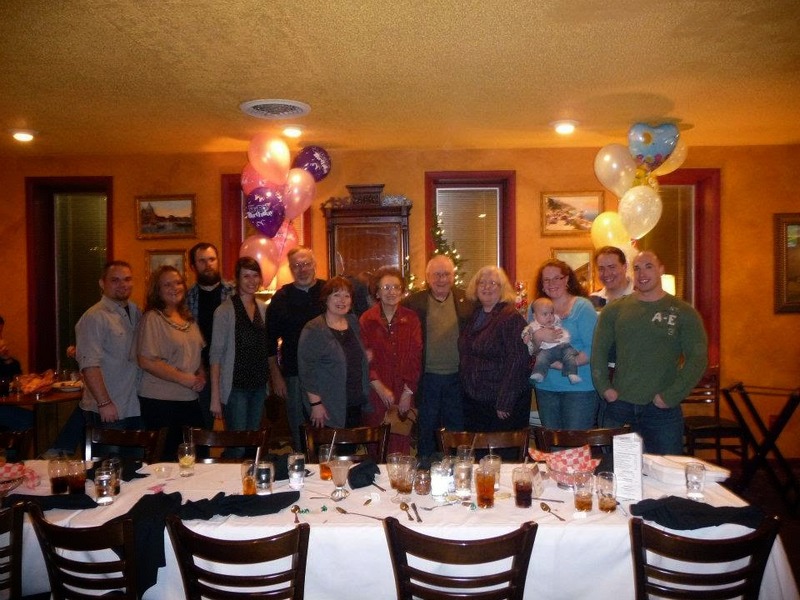 We celebrated my grandparents' 60th anniversary and my grandma's 80th birthday at the same time a few months early back in 2011. Whenever I go in to visit my mom and grandparents, Muriale's is a must stop for us. No matter the occasion. I've not been able to find a place to surpass it. I used to do take out sometimes when I lived in Morgantown. Yeah, a long trip for take out, but it was so worth it! This occasion was to celebrate my birthday! It was just Jon, Michael, and my mom. We got right in and even though it seemed the waiter was serving the whole room, he was pretty prompt on getting us what we needed. I didn't think that take a lot of pictures at first because I wasn't planning on posting about this, but then realized people needed to know about this awesome place! We went after traveling from my mom's church in Parkersburg, WV and then spending some time with my grandparents so, all the church crowd was gone and we didn't have to wait to get a seat. There's generally a long wait after church and after any type of sporting event that went on in Morgantown that day. Not a good thing with a toddler. I love this bread and you get as much as you want! This was our second basket of it. I hardly ever change what I get to eat and Sunday was no different. I love their regular size spaghetti and meatballs. Sorry, this is when I decided to start taking pictures and I had already started eating my meal. I believe there are three sizes of spaghetti and this is the middle size. Comes with a side salad that I always get with their house dressing (a yummy vinaigrette dressing) and two meatballs. My mom got the same meal as me. Jon, being Jon, got the pizza. There was a smaller size, but Jon decided to get this and share with Michael. That way we didn't have to buy Michael his own kids pizza. Their pizzas come with two toppings. Jon got pepperoni and extra cheese. Michael loved the pizza just like his daddy! I know that when my aunt, uncle, and cousins go they get other items and enjoy them. Maybe one day I might try something else, but for now I will enjoy the spaghetti and meatballs. Another thing to note, they also have wheat spaghetti. My grandfather for the past few years has been ordering that for his spaghetti pasta. If you haven't been, why haven't you? It's not too pricey and so much better than Olive Garden. So, if you're ever traveling on I-79 and go through Fairmont, WV definitely stop. You won't be disappointed!